Our original and flagship journey, the Camino de Santiago tour was launched in 2006 and covers the last 160km (90 miles) of the Way. 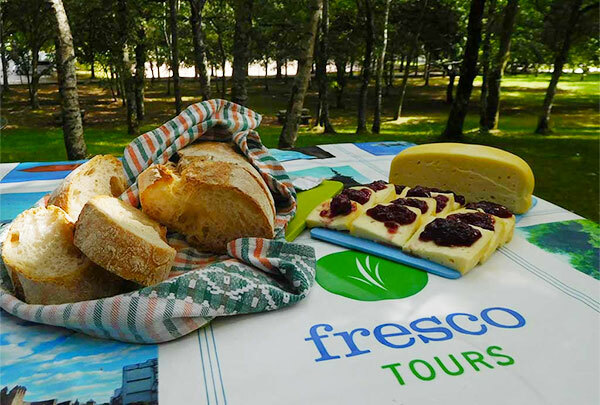 This itinerary is for hearty hikers who want all the comforts of a Fresco Tours full service guided walk, while walking 12 miles a day. *We are happy to provide assistance in arranging your transportation from Madrid to León. After breakfast, we hop in the van and stretch our legs with a climb to the Iron Cross or Cruz de Ferro! Here you can participate in the long-standing pilgrim tradition of leaving a stone at the foot of the cross in order to ask for protection on your journey. We finish in the town of Villafranca del Bierzo, home of the 12th century Romanesque church of Santiago, which would welcome and care for any pilgrims that fell sick along the Way. With our boots and scallop shells on, we get our first glimpse of the green Galician countryside. Our day starts with a steady climb to the Alto do Poio, the highest point of the Camino de Santiago in Galicia. After a stamp and a coffee, we start our decent down to the town of Triacastela, named after the 3 castles that once stood watch over the village. With our first full day of walking behind us, we hop in the van to shuttle to our accommodations for the evening. Today is the day of the difficult decision! What to do? 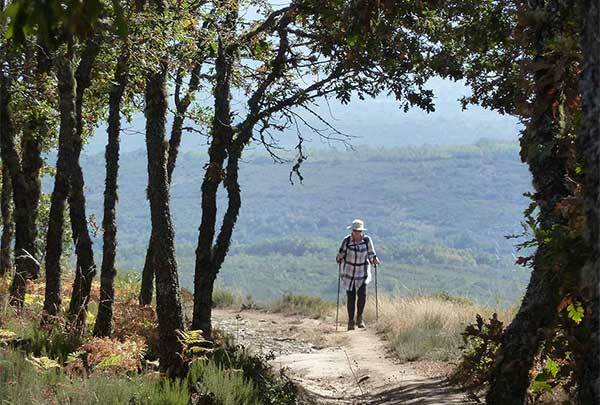 The Camino de Santiago has 2 paths to reach Sarria - take the high road through San Xil and enjoy the beautiful views from atop the ridge or visit the ancient monastery of Samos along the river valley? Traditionally, pilgrims would have to choose one or the other. We, however, get to do both! By day we walk along the hills of San Xil, and in the evening we'll take the van to visit one of Spain's oldest monasteries! Leaving Sarria, we should take in the views from atop the city and keep an eye out for the ruins of Celtic castros hiding in the vegetation along the Camino. On our way to Portomarin, we walk by the 100km marker, a milestone (or kmstone!) for the millions of pilgrims who have traversed this same spot during the last millennium. 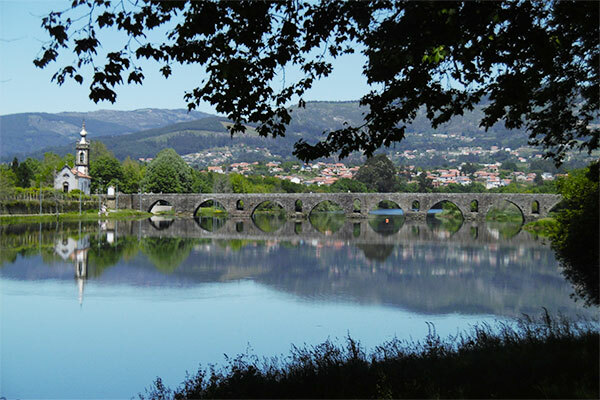 As we approach Portomarin, where the 12th-century Church of San Juan, once stood guard over the banks of the River Miño before it was moved stone by stone to the new center of town - your Fresco Tour guide will tell you more about that! We start our day with a gentle climb out of the river valley and pass through typical Galician villages, decorated with their raised corncribs and the occasional carved granite cross that marks the way to Santiago. 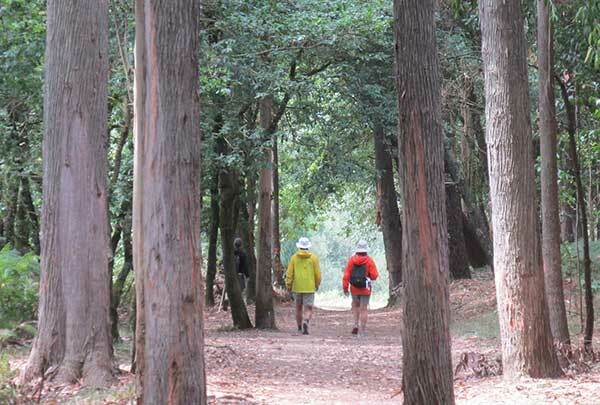 Continuing west, we walk through the first of many eucalyptus forests along the Camino de Santiago and work our way into Palas de Rei. What better way to reward ourselves from our day's walk than a glass of Galicia's light Albariño white wine! Following the now very familiar yellow arrows, we ramble up and down gentle rolling hills along quiet footpaths. Little has changed in this quiet corner of Spain, and the peaceful rural environment of local farmers tending to their lazy cattle in stone houses accompany us back to another time. We quickly arrive back to the present in the bustling market town of Melide, where tender octopus, pulpo, is still boiled in large copper kettles on the street. Today we continue to enjoy the wonderful scenery of the countryside and charming atmosphere of tiny 3-house villages. Get a feel for the people and greet a local villager with a "Buenos dias" or "Hola". You'll see how these quiet and reserved people, quickly wish you well on your journey to Santiago. 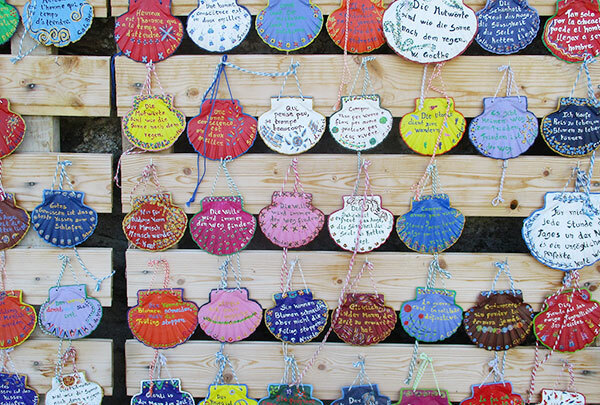 On this trek, you are no longer a tourist but a pilgrim on the Camino de Santiago! 9 days, 160 kilometers, and we have arrived to Santiago de Compostela. Congratulations! You are going to love this magical city filled with fantastic monuments and with a lively buzz from the international pilgrims and university students that fill its medieval streets. After requesting our Compostela certificates at the Pilgrims' Offce, we head to our hotel and get ready for our evening celebratory dinner! After breakfast, our local historian gives us a closer look at the amazing Cathedral that has seen so many transformations since the original chapel built in the 9th-century. After the tour, we sadly say our last "buen camino" as we leave you at the Cathedral in time for the pilgrims' mass at noon. What is the weather like on Camino de Santiago Tour? 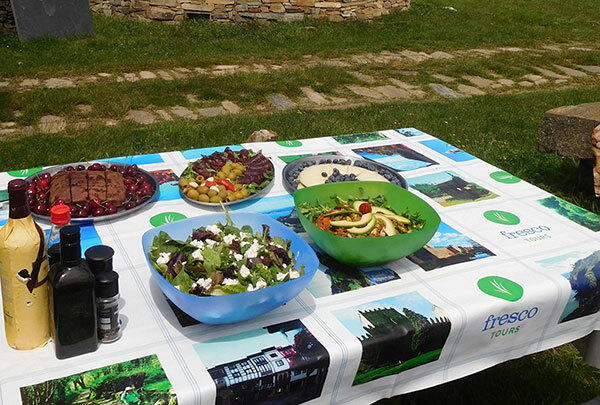 Fresco Tours Camino de Santiago Tour covers the last 160 KM's of the Camino in the Northwest region called Galicia. Here we enjoy a more temperate climate than other parts of the Camino de Santiago and in July and August the heat is not overwhelming like it can be on the plains of Castilla y Leon. 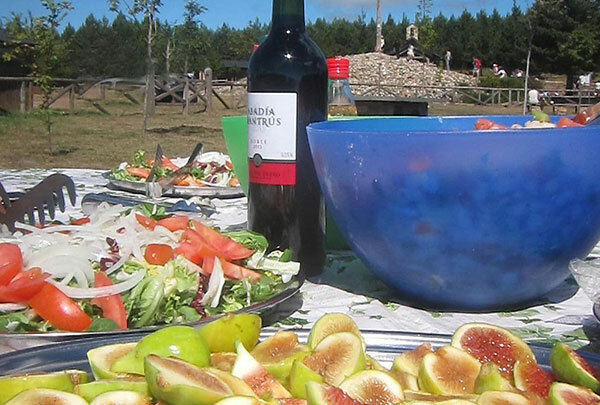 What is a typical day like on the Camino de Santiago Tour? In the afternoon, we go to our hotels, where we take a shower, siesta and just relax! We finish our day with a glass of tinto and a feast of the local gastronomy. We then retire for the night and get ready to do it again! On some afternoons, we have planned excursions, such as a visit to an ancient monastery or perhaps a massage! Does the group stop for breaks on the Camino de Santiago Tour? 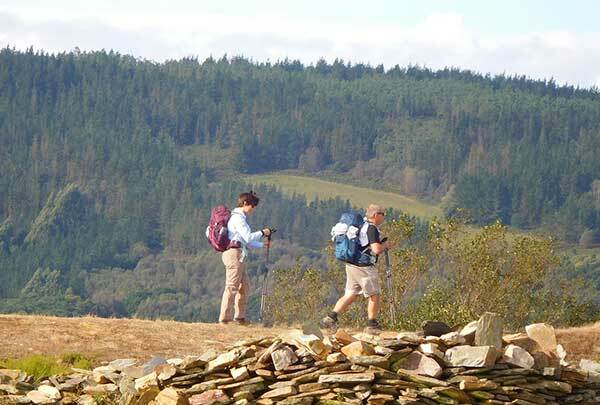 What is the terrain like on Camino de Santiago Tour? What is the change in elevation on Camino de Santiago Tour? 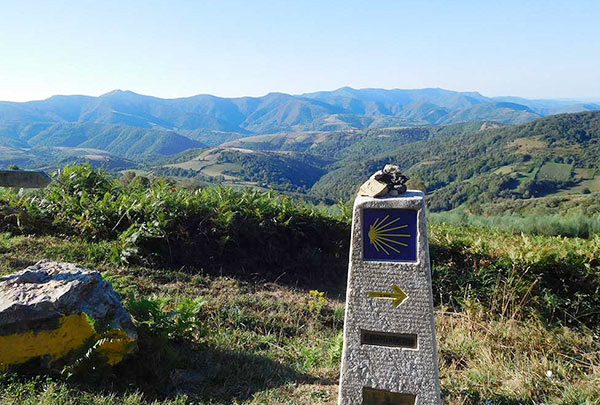 How many kilometers are walked each day on Camino de Santiago Tour? The amount of KM's scheduled for each day varies from 15KM's to 25KM's. 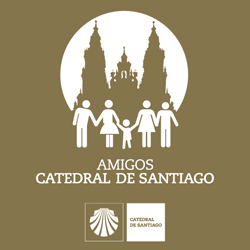 We have designed this tour to allow the possibility to walk the last 100KMs to Santiago, which is a requirement by the Church if you are going to ask for the Compostela Certificate. However, the walks are accompanied by a support vehicle and options for less (or more!) KM's are possible on a daily basis. We can tailor the Camino to suit your needs! Since the distances that we walk during the day on Camino de Santiago Tour can be covered quickly in the van, we take advantage of this and stay in the same hotel for 2 nights on multiple occasions. Our walk always starts at the point where we finished the previous day to maintain our continuity along the trail. We believe that the time (and energy) saved packing and unpacking everyday makes these shuttles a great convenience for everyone. How do I get to Camino de Santiago Tour starting point? 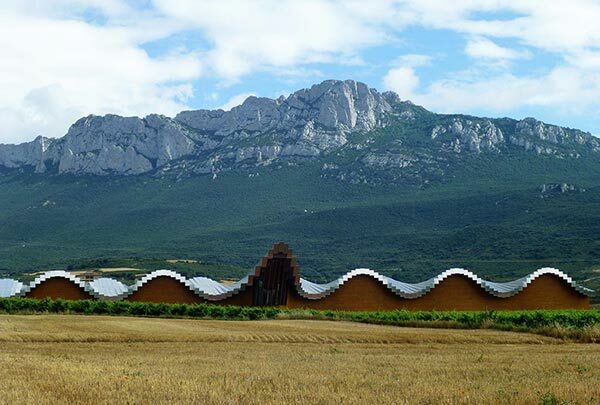 Leon (Spain) is the official starting point of the Camino de Santiago tour and can be reached via train, or bus. Traveling from either Madrid or Bilbao, one can choose between the train (RENFE) or the bus (ALSA). How do I get from the Madrid Airport to the City Centre? What type of boots do I need for Camino de Santiago Tour? What sort of conditioning do I need to undertake Camino de Santiago Tour?